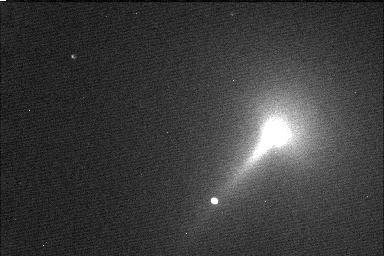 Image taken with a Meade Pictor 416 CCD Imager on my 10" f/6.3 LX200 using the autoexposure feature of the imager in the low res mode for about 380 millisec. The date and time were 25 Mar 96, 0315 PST. The image was taken from my backyard here at my house in El Segundo, CA.